On the south coast of South Africa in the middle of the Garden route is an area known as the Wilderness. 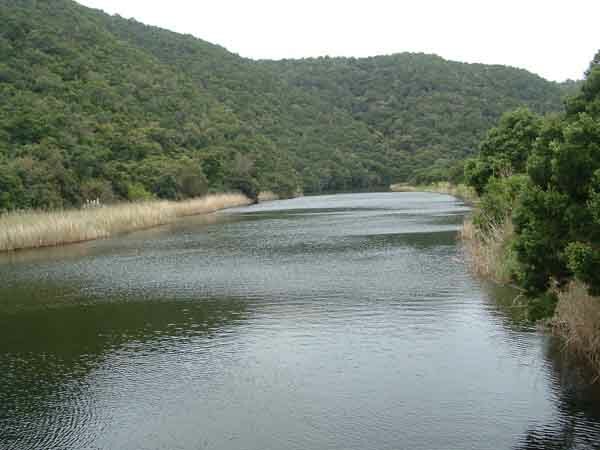 It is also known as the lakes district and stretches from the small village of the Wilderness to the Goukamma river in the east a distance of about 38 kilometres. The area is unique in that in this short distance there are three different types of lakes all of which are common throughout the world but are not common in that they they are found in such a small geographical area. Swartvlei is an example of the first lake type which is formed when a submerged river valley is flooded by rising sea levels due to the melting of the ice caps and glaciers. A second type of lake is those that are formed in submerged lowlands between sand dunes . They are then flooded by the rising levels of the sea and are not connected to any river system. The Langvlei lake at the Wilderness is a good example of a lake being formed by this method. Rondevlei is an example of the third type of lake which is formed by wind erosion which hollows out an area of land into a large basin and is subsequently filled with water. The formation of sand dunes along the Wilderness coastline by the constant rising and falling of the sea levels over the ages has played a big part in the formation of the lakes system. The first sand dune formed in the area is north of the Swartvlei and is about two kilometres inland from the sea. Everytime the sea level rose a new dune was formed and there are now a number of large dunes lining the coastline. There are three different lake systems in the Wilderness area. The first system closest to the Wilderness village is the Wilderness lakes system, which is made up of a natural channel called the Serpentine and links the Touw river to its estuary and flood-plain. The Touw river is closed to the sea for most of the year and this makes this lake ideal for boating and fishing. Three lakes, Island lake, Langvlei and Rondevlei are also connected to each other by the Serpentine . 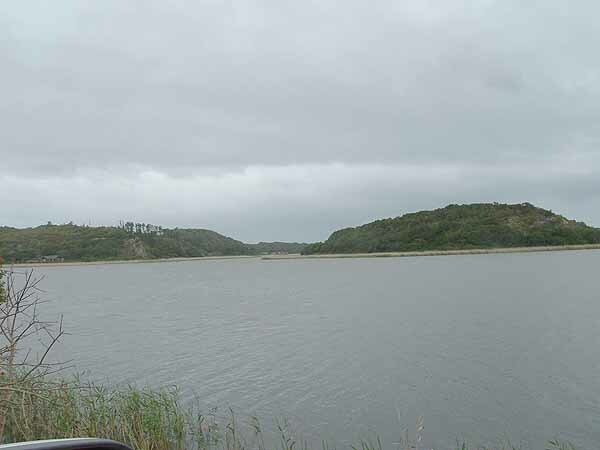 In the centre of the system is a large lake known as Swartvlei which is connected to the sea via the Swartvlei estuary near the town of Sedgefield. This estuary is tidal and is open to the sea. It is the only estuary that has managed to break through the dune system along the coastline in this system of lakes. Swartvlei is the largest lake and is used by holidaymakers to ski, fish, sail and swim in. On the banks where the time share units have been built the bird life and the people live in harmony with one another. The birds have become used to boats roaring past and just get out of the way when they see them approaching. 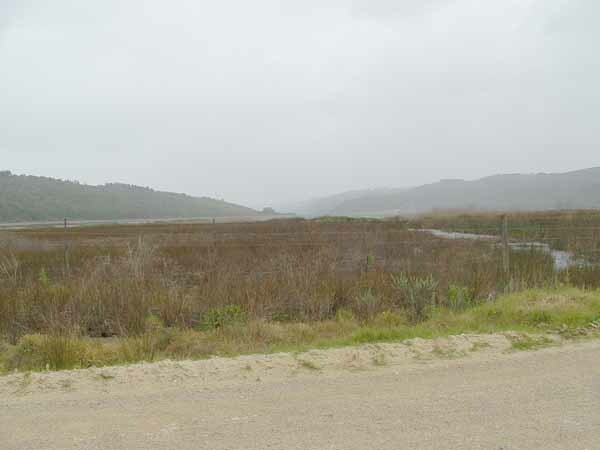 On the eastern boundary of Sedgefield is a single landlocked lake known as Groenvlei which is the only freshwater lake in the system. It is surrounded by reeds and high sand dunes protect its southern side and has fresh water fish such as bass living in it. The N2 highway runs along its northern bank. 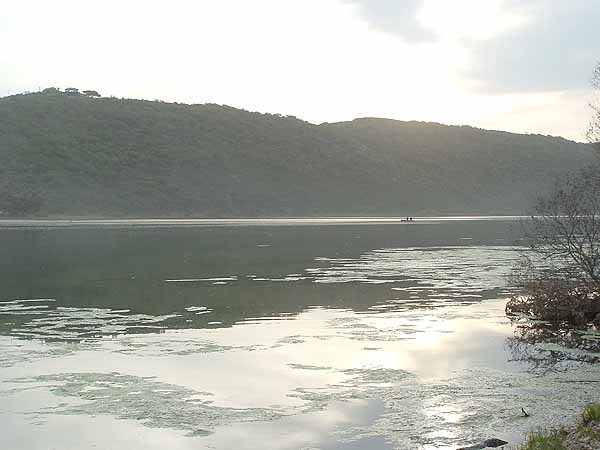 West of the Swartvlei lake is the Rondevlei lake which has been declared a bird sanctuary. It has a number of bird hides built amongst the reeds that grow on its banks where people can sit quietly and watch the water birds do their thing. It is very interesting to get up close to some of the thousands of birds that live on and visit these lakes each year. There are at least 72 bird species and the monthly average for birds using the lakes is about 10800 birds. An even better treat is the Knysna to George steam train ride known as the Choo Choo as it chugs along through the lake district crossing some of the lakes and skirting others allowing one to get up close to the lakes without getting one's feet wet. Unfortunately due to landslides near the Widerness beach the Choo no longer runs. Next time you visit the Wilderness area take a drive through the lake district and enjoy the natural beauty of the area.